The 14 February piece by James Mugg and Andrew Davies was like the curate’s egg: good in parts. 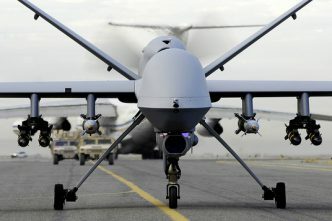 Much of what they wrote about the significance of unmanned aerial vehicles (UAV) and systems (UAS), especially about Navy’s recently announced contract for 110kg CAMCOPTER S-100 rotary wing UAS and three year logistics support, is non-controversial. They could’ve also mentioned Navy’s current trials with the Boeing Insitu 22kg ScanEagle fixed wing UAV, equipped with Melbourne’s Sentient Vision Systems ViDAR sensor, but more on that later. 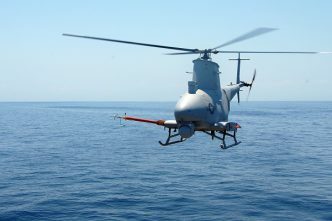 Their consideration of a large unmanned helicopter like Northrop Grumman’s 1,430kg, 7.3 metre long MQ-8B/C Fire Scout for Navy was the problem. Probably the only RAN vessels where Fire Scout would be an excellent UAV choice are the two Canberra Class LHDs plus HMAS Choules, a smaller amphibious vessel. Smaller UAVs make much more sense for the air warfare destroyers, future frigates and offshore patrol vessels. Fire Scout is an outstandingly good UAV, with excellent endurance, serious sensor capabilities, and it can be equipped with offensive missiles. The US Navy’s large platforms, like their littoral combat ships, have deck space and hangar room to deploy Fire Scout very effectively. So why is this contrary view on the suitability of large unmanned helicopters for the RAN’s ships, apart from those already mentioned, being put forward? Quite simply, if a ship’s hangar only has space for one helicopter then it must be a manned one. Mugg and Davies probably agree. Many of the tasks assigned to naval helicopters require crew on-board. Consider surface and underwater warfare operations; search and rescue by day and night; vertical and cross-deck replenishment and movement of personnel; casualty evacuation; interception and boarding; counter-terrorism operations; humanitarian aid and disaster relief; support for other government agencies, including Police and Border Force; and many other missions where interaction between aircrew and other people is necessary for successful completion. Hangar space for two helicopters on board an RAN ship, alas not provided on the Hobart Class AWDs but hopefully on the Future Frigates, is important for anti-submarine warfare because they can share continuous surveillance, underwater detection and attack submarine threats. The OPVs are never going to be big enough to have double helicopter hangar space. It would seem much more sensible for most Australian warships to carry at least one manned helicopter in its hangar, sharing that with one or more small UAVs which become the eyes of the ship at distances and in conditions beyond the capabilities of human lookouts. 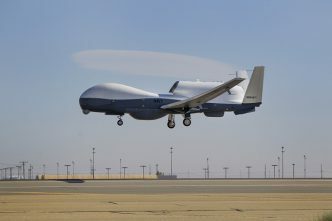 The budgeted project cost range of $500m-$750m suggests that Navy’s planning to acquire quite a large number of small UAVs, which typically cost well under $3m each with extras. The major acquisition program could start as early as 2018 and run until 2030. At Nowra in November 2015, an RAN ScanEagle tested Sentient Vision Systems’s Visual Detection and Ranging (ViDAR) optical detection system, turning the UAV into a broad area maritime surveillance asset capable of covering up to 80 times more area in a single sortie than is possible with standard cameras. The self-contained ViDAR system consists of high-resolution digital video cameras and software that analyses image feed and autonomously detects, tracks, and photographs each contact with a 180-degree pan. ViDAR is similar to RADAR, but uses visible rather than radio frequency. In the fourth quarter 2016 a team from Navy’s UAS Unit deployed to Christmas Island to test their ability to conduct long-term UAS operations without support. The deployment and location allowed offshore flights for up to 10 hours at a time. 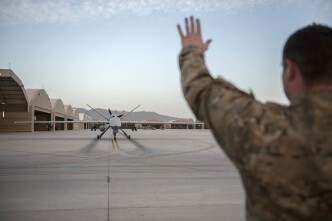 By four weeks into the three month deployment, the team had achieved approximately 82 flight hours, with over 12 hours of specific ViDAR operation. During the RAN’s 2015 and 2016 trials, which on occasion covered an area greater than 13,000 square nautical miles (45,000 km2) in a 12-hour trial mission, ViDAR successfully detected Navy vessels positioned for the trials, and autonomously found smaller targets like recreational boats and yachts, a submerged whale, and even an airborne helicopter. 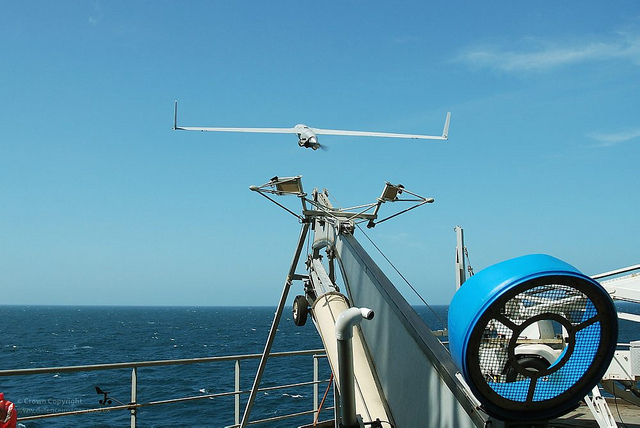 The ScanEagle’s data links allow it to send image data from up to 50 nautical miles away. As well, Sentient Vision Systems claim that ViDAR is ideal for real-time small object detection such as people in the water, periscopes at 4 nautical miles, and fast boats out beyond 8 nautical miles. It can be used to detect objects that are too small for existing radars. The RAN trials with ScanEagle/ViDAR are continuing at sea in 2017. I’d say Navy is well on track in its thinking about uses for UASs. Geoff Slocombe is a freelance defence journalist and farmer, also involved with his family’s rural vineyard and winery. Image courtesy of Flickr user Defence Images.